In a stand mixer, whip eggs for 15 mins. Turn mixer down and add in heavy whipping cream. Mix at low speed for a minute until slightly thick, then whip for a couple minutes until fluffy. Turn mixer down and Slowly Add in Glynis’ Waffle Mix. Whip until incorporated (about 10 seconds). Using a spatula, scrape bowl down and stir mixture. Scoop out about 3/4 cup of mixture to the center of 8” round, hot waffle iron. With spatula, Spread mixture but not to the edge of waffle iron. Bake for 3 minutes or until waffle reaches desired brown color. Makes 6-8. Add in 1 Cup of egg substitute or (EggBeaters) in a stand mixer bowl and beat on HIGH for 15 minutes until fluffy. (The egg substitute (EggBeaters) won’t fluff up as much as regular eggs, so add in a pinch of Cream of Tarter to help). Chill a couple cans of coconut milk overnight. Scoop out the solids from each can (leaving the liquid behind; you can use that for smoothies). Add in 1-½ Cups of coconut milk solids to the fluffy egg substitute and mix until blended and then Whip until fluffy. Add in ¾ Cup of Glynis’ Waffle Mix. Whip for about 10 seconds or until all Glynis’ Waffle Mix is totally dissolved. 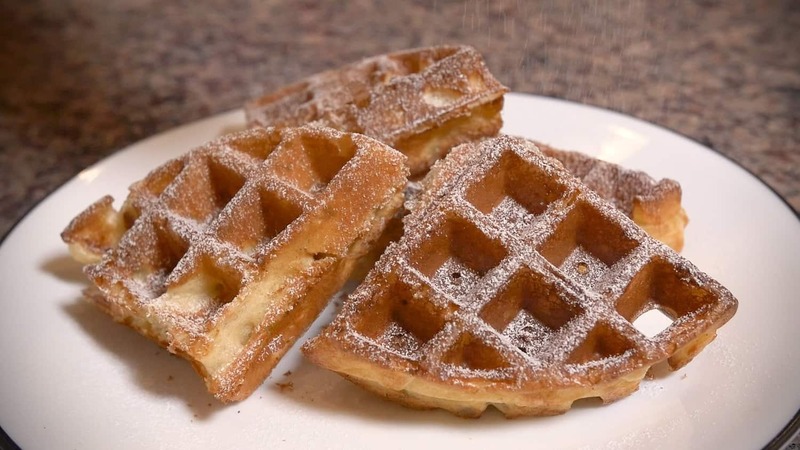 Pour ¾ Cup of fluffy mix onto hot waffle iron. Bake for about 3 minutes (or desired brown color) and enjoy. ***You may use 1 Cup of egg substitute and a pinch of Cream of Tarter for the four eggs. ***You may use 1-½ Cup of Coconut milk solids for the heavy whipping cream OR 3 Cups of Non-Dairy Whip (CoolWhip). In stand mixer whip eggs for 10 mins. At lower setting, add in heavy whipping cream. When mixture thickens, whip for a couple minutes until fluffy. At lower setting, slowly add in Glynis’ Waffle Mix and milk, alternating. Then whip for about 10 seconds until incorporated. With rubber spatula, scrape bowl and stir. (You may eat plain or at this time you may add in one large-sliced banana, a cup of berries or a cup of your favorite chopped fruit). Scoop or out about 1/3 cup of mixture onto a hot, greased griddle or pan. 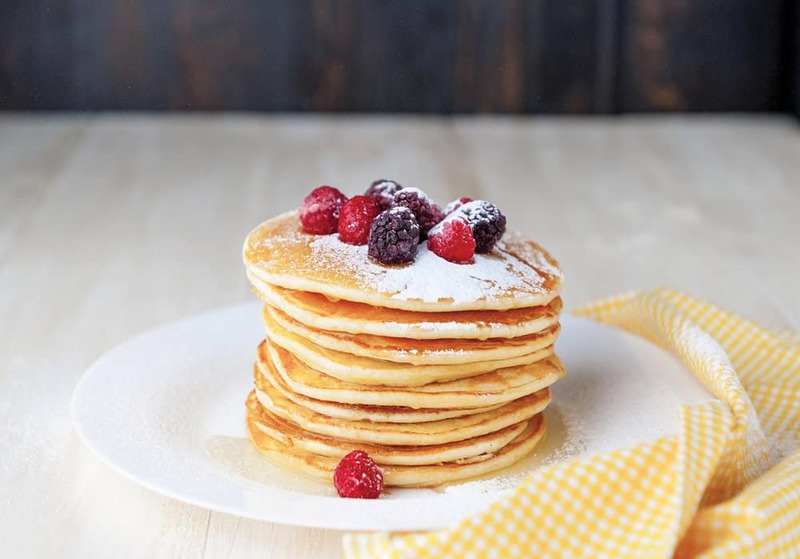 Using flat metal or silicon spatula, flip pancake over once bubbles form on top. Purée until smooth and incorporated (1 minute). Let batter sit/rest for 15 minutes and then stir with rubber spatula. Pour out about 1/3 cup of batter onto hot, greased pan. Tilt pan in a circular motion so that batter coats pan evenly. Cook for 2-3 minutes. Loosen edges of crêpe with rubber spatula. Using fingertips and spatula, quickly flip. Cook another minute.Enjoy!! Makes 10. 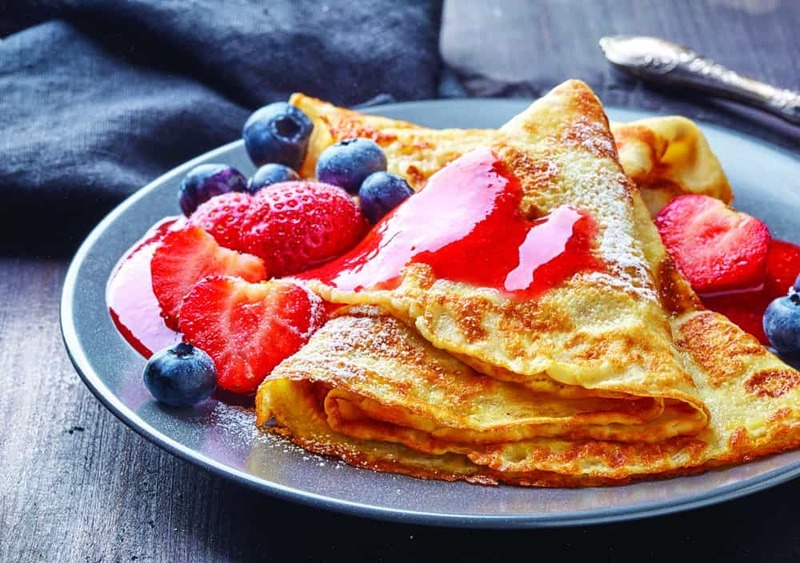 ***Fill crêpe with your favorite fruit or crème, fold over or roll up, sprinkle with powdered sugar and a dollop of whipped cream. You may also fill crêpe with chopped meats and veggies. Open a box of Glynis’ Poultry Coating Mix. In a deep bowl, pour in 2 Cups Water then whisk in contents of Buttermilk Soak (Small Packet) until frothy. Wash chicken pieces and drain on paper towel. Add dry chicken pieces (up to 3 dozen wing pieces, chicken tenders, or 2 whole chopped chickens) to the Buttermilk Soak. Toss pieces around so that Buttermilk Soak is on all chicken pieces. Cover bowl with plastic wrap and refrigerate overnight or for at least 2 hours. Periodically toss the chicken pieces keeping them well coated with Buttermilk Soak. Note: ButterMilk Soak is OPTIONAL. Pour Seasoning Mix (Larger Packet) into a separate deep bowl. Remove chicken pieces from refrigerator after at least two hours. Roll 2-3 pieces of chicken at a time into Seasoning Mix (covering thoroughly and shaking off excess). 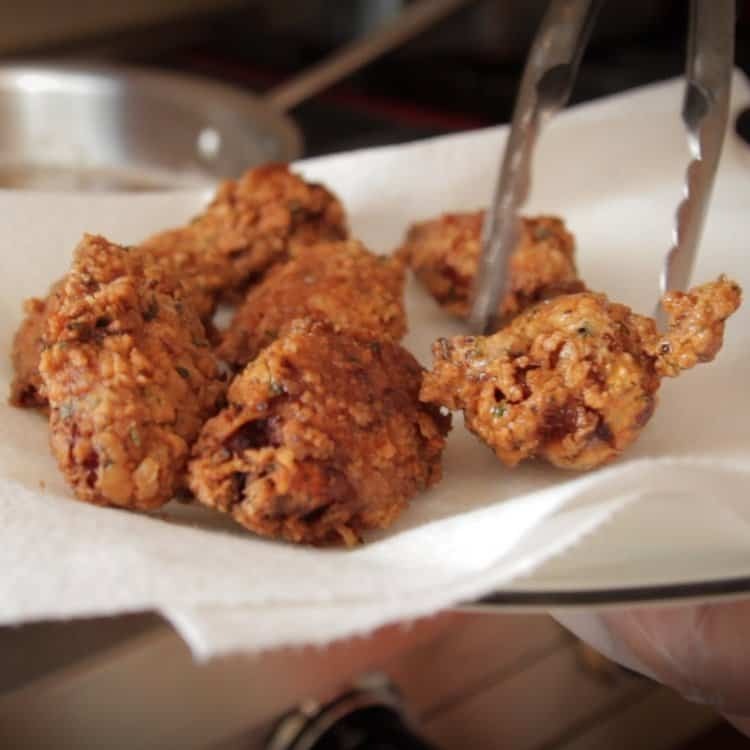 Fry chicken in pan on medium heat in oil of your choice (best results are with Safflower Oil). Once brown on one side (about 10-12 minutes), Turn pieces over to fry on other side. When chicken pieces are done, drain on paper towel. Transfer to serving plate and enjoy!